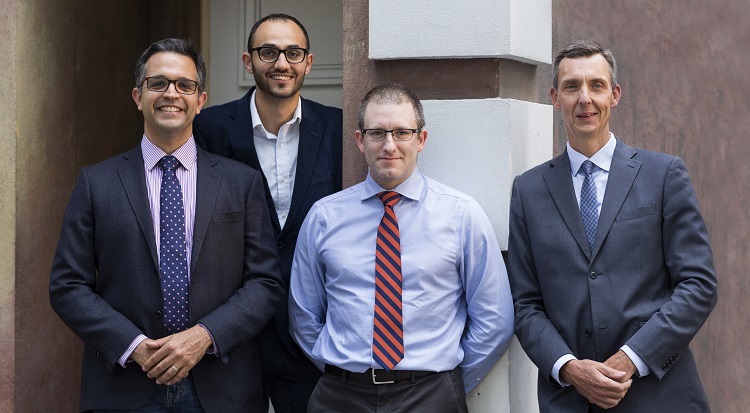 From left: the Blair Early-Career Professors, Dr. Ahmed Kayssi, Dr. Mohammad Qadura and Dr. John Byrne with Dr. Thomas L. Forbes, Chair of the Division of Vascular Surgery. Photo by Matthew Volpe. A $2.25-million gift to the U of T Division of Vascular Surgery will support three early-career professors across three academic teaching hospitals. 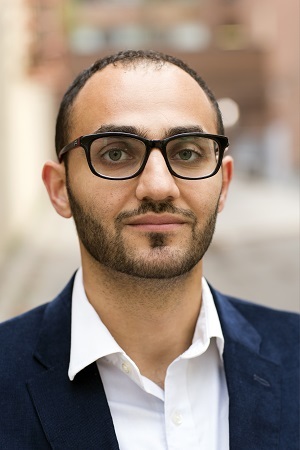 Dr. Mohammad Qadura is looking for a red flag—a biomarker that could help him predict a life-threatening disease of the blood vessels and head it off with preventive treatment. Thanks to a generous donation to U of T’s Division of Vascular Surgery, his ambitious research program is now in full swing. 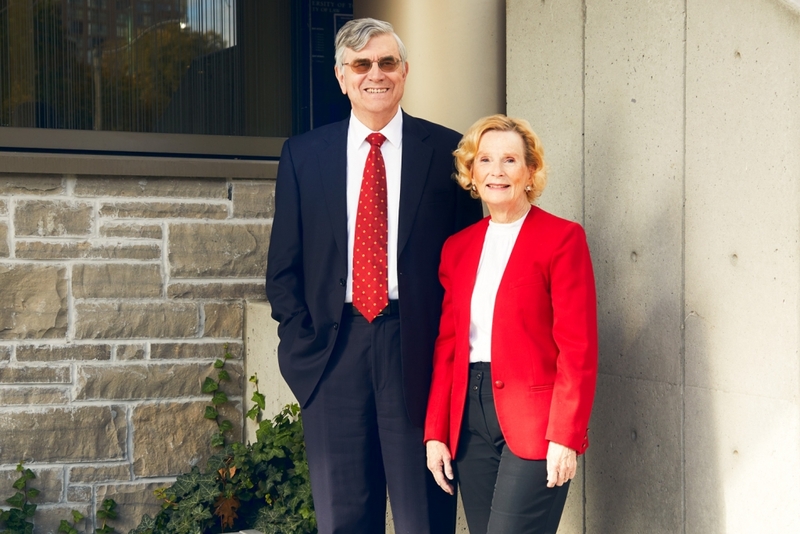 The Bill and Vicky Blair Foundation has committed $2.25 million over 10 years to establish three professorships for early-career researchers at Toronto’s three main vascular centres: at University Health Network, St. Michael’s Hospital, and Sunnybrook Health Sciences Centre. The three recipients, Professors Mohammad Qadura, John Byrne and Ahmed Kayssi, will each receive funding for a five-year term. They are tackling some of the most difficult challenges related to blood vessels, including abdominal aortic aneurysms, peripheral arterial disease and limb preservation. William Blair worked in the field of vascular disease throughout his career, supplying medical devices to hospitals across the country. Before his wife Vicky Blair passed away, the couple established a foundation, and have been long-time philanthropic supporters of the vascular surgery community. The gift dovetails with an earlier generous donation by Blair, who gave $150,000 in 2015 to establish the Blair Foundation Vascular Surgery Innovation Fund. One of these grants has already funded a test of new technologies for visualizing the inside of blood vessels. With the Blair Early-Career Professorships, he continues to support cutting-edge thinking and projects that leverage the power of U of T’s collaborative medical network. Dr. Mohammad Qadura’s research could prevent a life-threatening disease of the blood vessels. Dr. Qadura’s research program shows this collaboration in action. An expert in peripheral arterial disease—blockages in the arteries of the arms or legs—he is on the hunt for a way to diagnose the most severe form of the condition early, in time to take preventive action. The most severe form is called critical limb ischemia, explains Qadura. “That’s when a limb is extremely thirsty for blood, so the nerves gets injured.” Almost 30 per cent of patients with critical limb ischemia will eventually require an amputation. Of the 10 million North Americans who are affected by peripheral arterial disease, five per cent progress to full-blown critical limb ischemia. Qadura’s research so far shows that these patients may have blood that thickens easily, building up in their blood vessels. A test for proteins related to coagulation could predict who is at risk, which could trigger medical treatment such as blood thinners to prevent the progression of the disease. “We need a large patient population to prove that our test is reproducible and valid,” Qadura says. Since he now has research support for five years, he can plan to recruit the necessary thousands of patients across the full spectrum of the disease, from early to late stages, in all demographic groups. “The Division of Vascular Surgery has a unique structure: physicians spread across three main health science centres,” says Forbes. “This diversity is our strength; our impact can go above and beyond the corridors of one hospital—certainly a distinct advantage of investing in the University of Toronto. 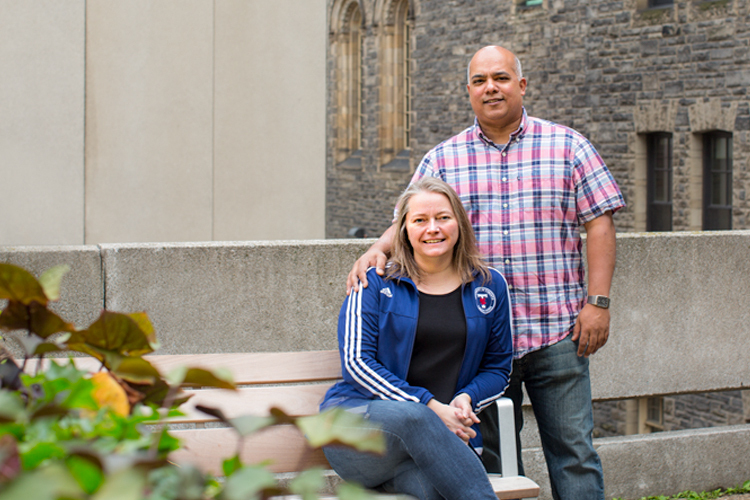 The research by the Blair professors will inform practice at all nine city hospitals affiliated with U of T, helping future patients across Toronto.